How can I remove employees from shifts? Click on the desired shift. 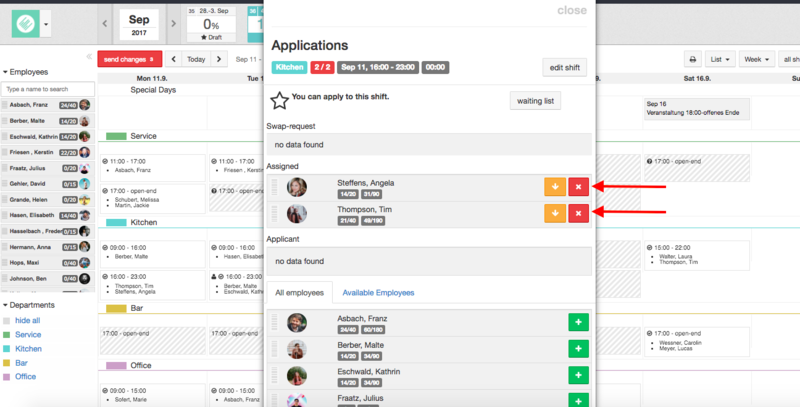 A new window will open where all assigned employees are listed. In order to remove certain employees from a shift, click on the red button "X". Now the employees will be listed under "all employees" again.